It’s Debate Time: Somebody Please Wake Up Assemblyman Oscarson! 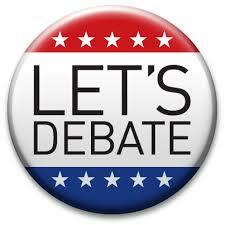 * NOTE: Mr. Oscarson has NOT yet accepted our challenge to have back-to-back debates on the same night – the first under his “fake” debate terms…and a second one immediately afterwards under ours. Whether it turns out to be Part II of the debate with Assemblyman Oscarson or a thorough review of how this RINO tax-hiker has misrepresented the voters of District 36 for the last six years, KPVM Channel 46 from 6:00–8:00 pm on April 11th will be MUST SEE TV for political junkies of all stripes! P.S. If you’d like to read all the details on how Assemblyman Oscarson has stacked the deck for his “fake” debate in his favor, as well as our counter-proposals, just visit www.DennisHof.com/blog and read all the back-and-forth correspondence between the two campaigns.